So Lonely in Gorgeous: Still Picture Perfect! 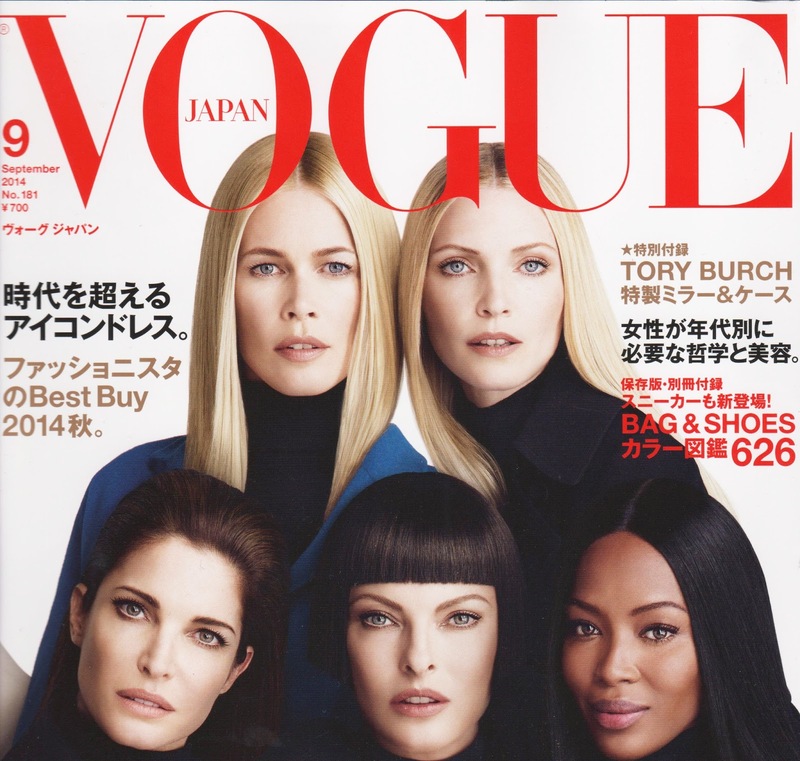 September's issue of Vogue Japan had me squeeing in the bookstore. I'm loving this resurgence of the 90's supermodels. As beautiful as the current faces in fashion are, in my humble opinion, they pale in comparison to their iconic predecessors. Aside from their unearthly beauty, the original supermodels possessed this hypnotic, edgy, yet, ethereal undertone that enslaved your gaze. Although not all of the supermodels appeared in this issue (i.e. Christy, Karen, Tatjana, and Yasmeen to name a few; also some of my favs), it was fun revisiting some of my beauty inspirations. Linda, Linda, Linda. Out of all the supermodels, Linda Evangelista, the legendary fashion chameleon, was (and still is) my favorite. I can go on and on, but I'm going to save that for a future post I'm planning on writing. Naomi Campbell was a stallion on the catwalk. I loved Stephanie's unique beauty...and Nadja (a fav) has some of the most amazing features. Kristen McMenamy, the androgynous, "unconventional" beauty is another favorite. I love faces that have something quirky about them; it makes them much more appealing and beautiful. Carla Bruni my second favorite supermodel of the 90's. Gosh, I just love her feline features, don't you?! Did you enjoy this nostalgic trip down the runaway as much as I did? Who was/is your favorite supermodels from the 90's? Christy was another Fav, she too was everywhere! You're welcome Beth, the models from the past were art in motion. I'm with Belly, I'm going for Christy. I also love Carla -- she can sing, too! What about Elle? I love her as well... Cindy and I shared the same undergard major, but, sadly, supermodeling was not my cuppa ;-D Thanks for posting this blast from the past! Christy is a fav as well. I've heard some of Carla's songs and she has a very beautiful voice. I agree with you on todays models. They have this vapid beauty and lack that surreal edgy quality that many of the older models had.